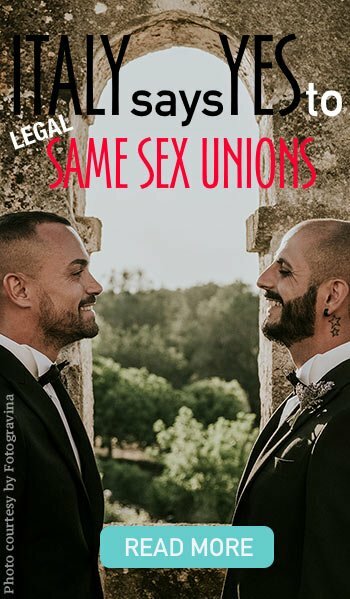 inally they did it! 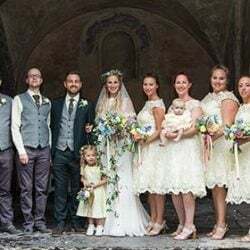 Today we are pleased to tell you about wonderful wedding day of a lovely couple we had already introduced you some time ago. 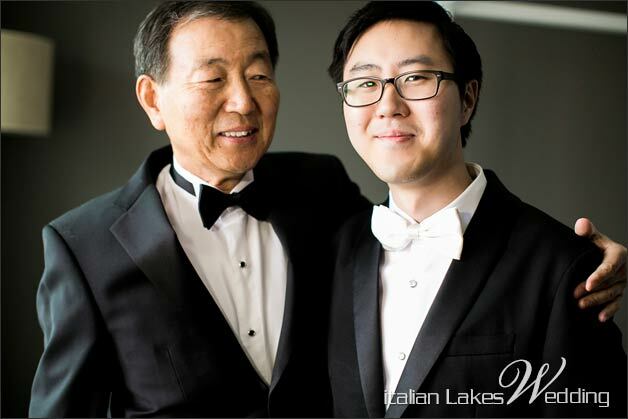 Some months ago we told you about Arum and Seok, both Koreans and both living in New York. 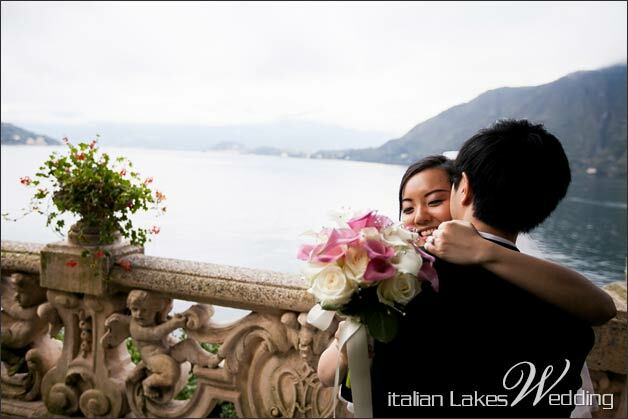 They had a lovely engagement photo session at Villa Melzi in Bellagio, a stunning town on Lake Como. 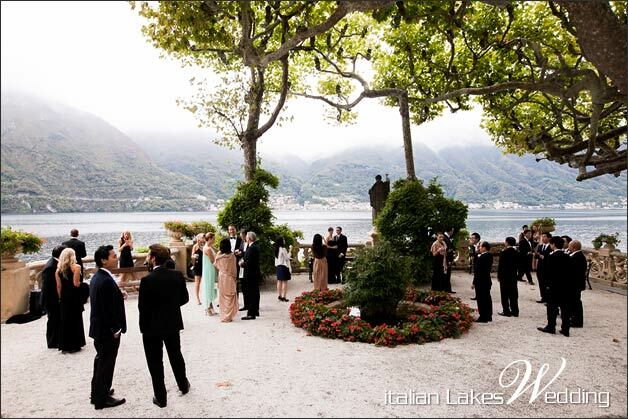 After that, they got married at Villa del Balbianello: a full day in this amazing villa on Lake Como. 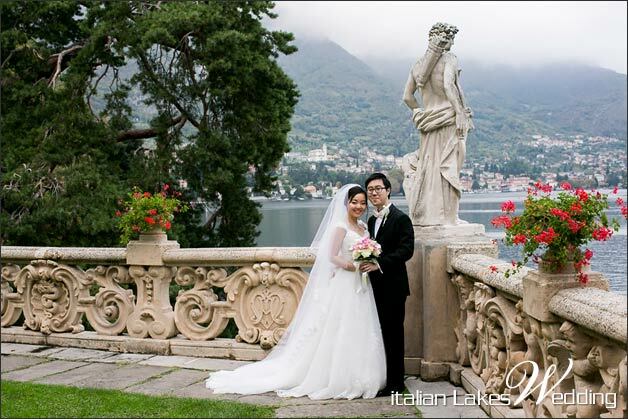 Arum and Seok really loved Bellagio, the pearl of Lake Como. 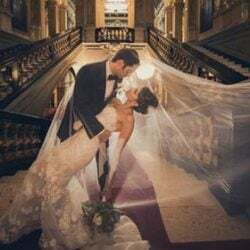 They chose it for their staying and as getting ready location. 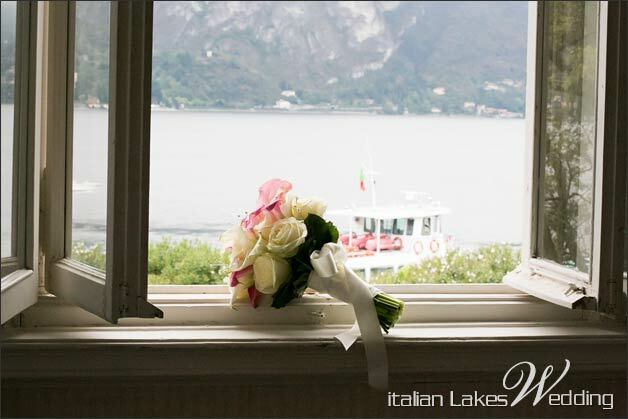 Arum and all her ladies stayed in a lovely apartment overlooking the lake: here you could feel all the magic of preparation! 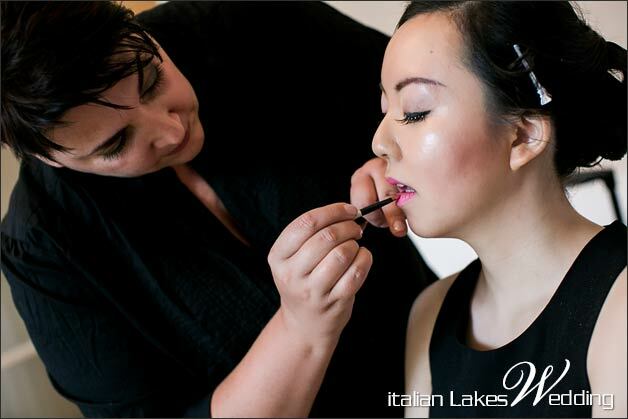 There was a joyful atmosphere during Arum’s make up session. 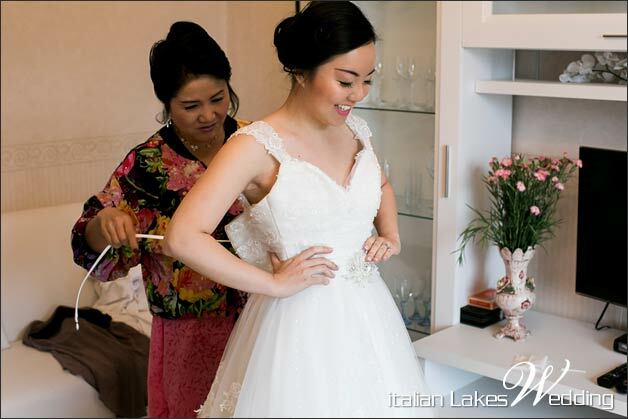 All her bridesmaids did their own make up while Arum had her personal hair and make up stylists! 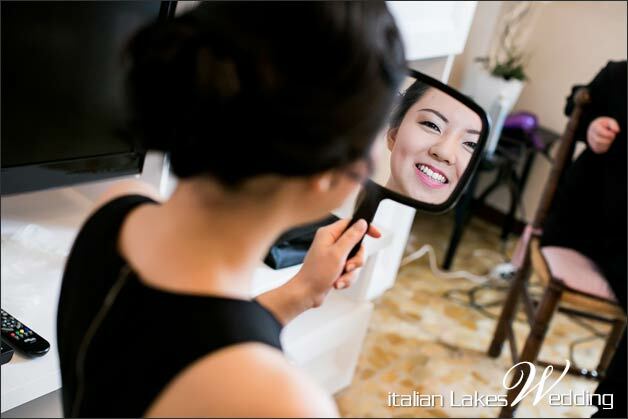 A great excitement! 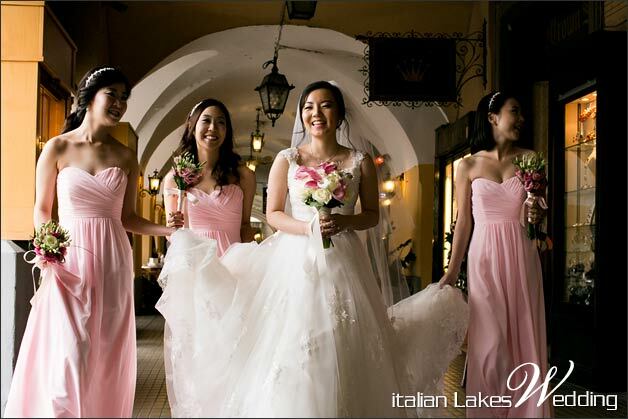 Dreamy dresses completed their princely look: Arum wore a white and soft lace gown with a lovely veil. 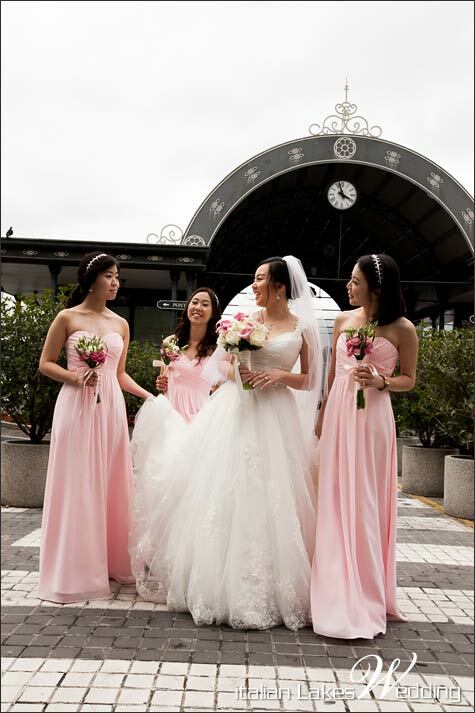 Her bridesmaids looked beautiful with their soft pink long dresses: white and light pink were the colours of the flowers of the bouquets, too… sweet white roses mixed with pink romantic calla lilies. 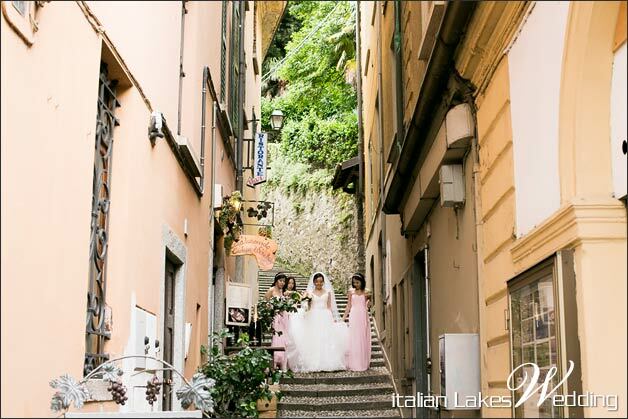 Once ready, girls walked along the roads of Bellagio to reach main dock. 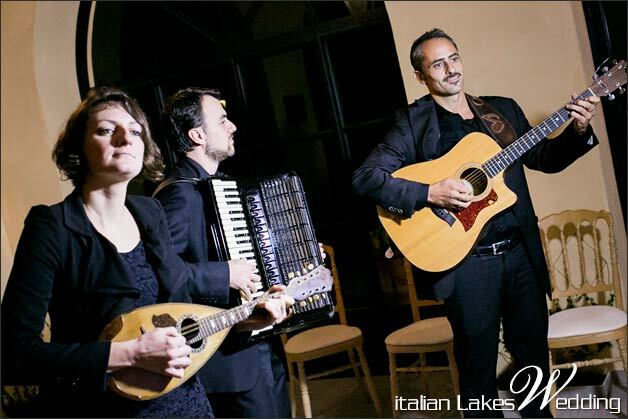 Great atmosphere with Italian people clapping their hands to congratulate! 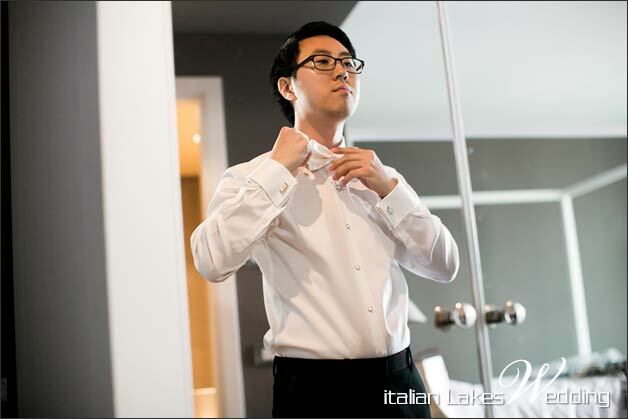 In the meantime Seok and his best men got ready in another beautiful apartment in Bellagio. 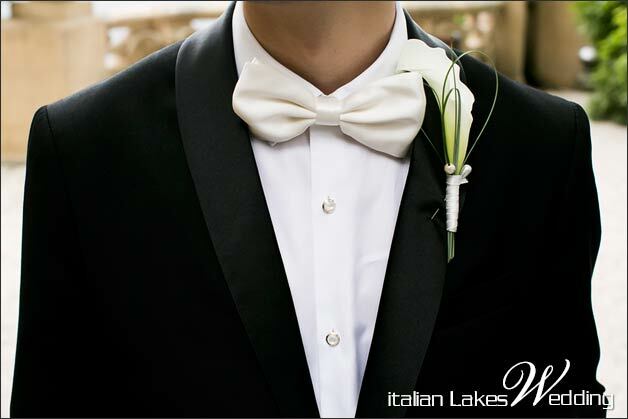 He wore an elegant black suit like all the other men of the wedding. 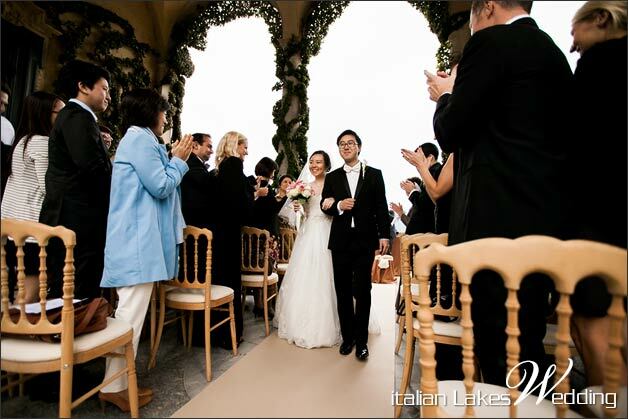 Seok and Arum wanted a refined dress code to celebrate their important day! 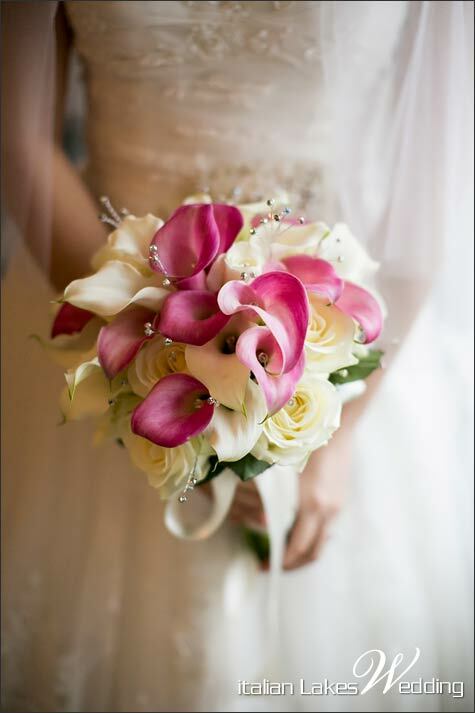 The last touch of elegance was the calla lily buttonhole on Seok’s jacket and a rose buttonhole for is best-men. 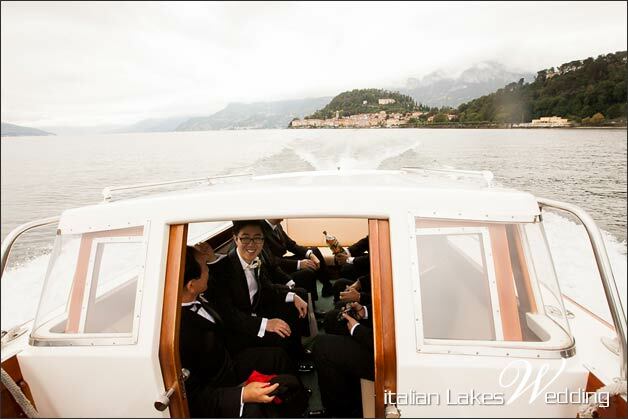 Just a few pictures and they all moved to their boat, too… it’s time to get married!! 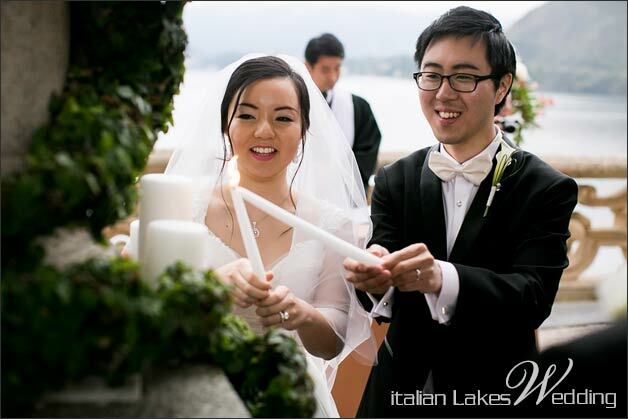 Our lovely couple wished to welcome their guests to the enchanting Villa del Balbianello. 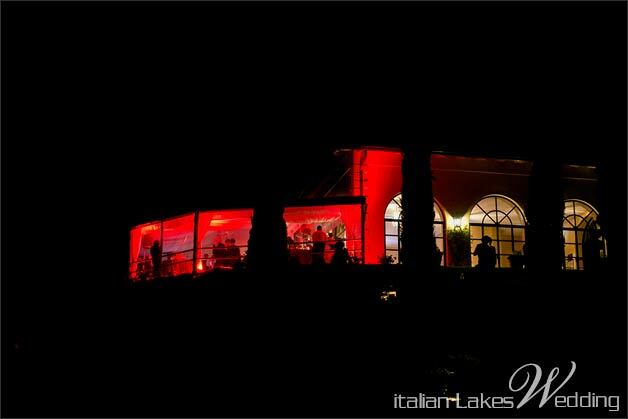 It was a real pleasure for us to organising a lovely welcome cocktail on the terrace overlooking the lake! 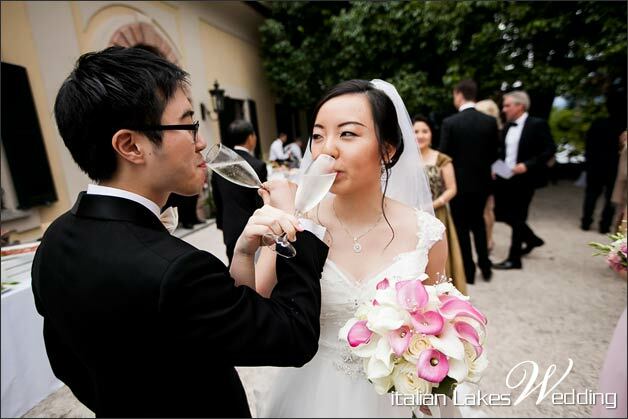 Cocktails, Prosecco, some pictures and a lot of emotion. 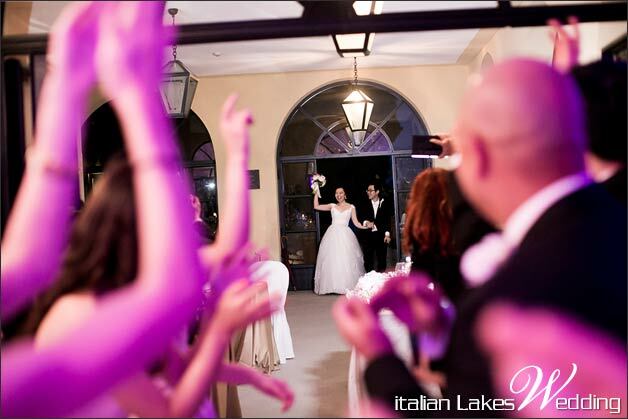 Very excited groom was waiting for his bride in the garden of the Villa. 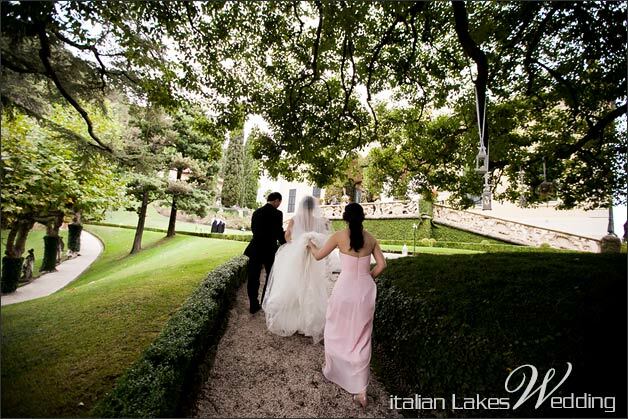 When Arum and her bridesmaids arrived to the Villa everything in the Loggia was ready for the wedding ceremony. 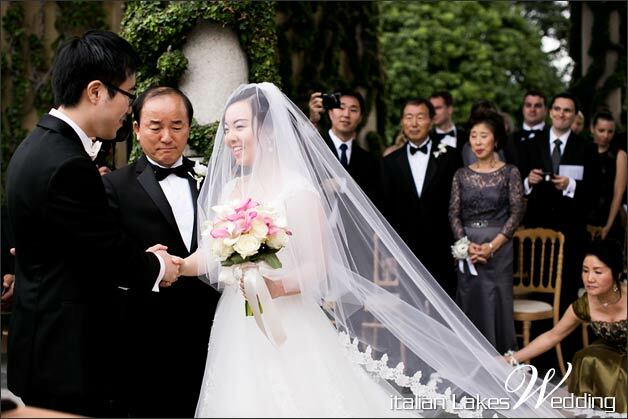 Arum walked down the aisle with her dad and once at the altar Seok took a respectful bow to him. 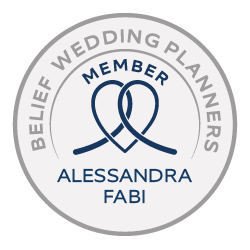 The ceremony can now start! 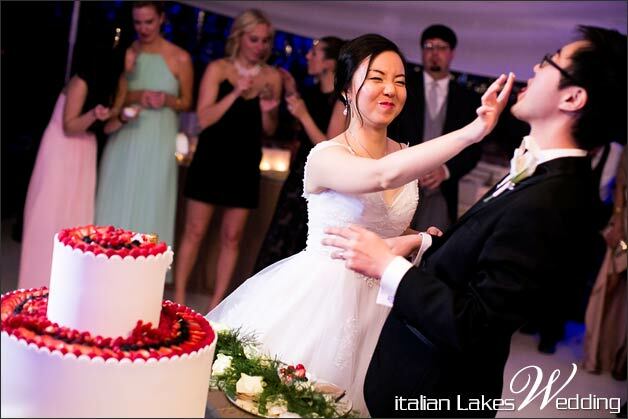 It was a perfect mix between Korean and American traditions, to honour bride and groom’s origins. 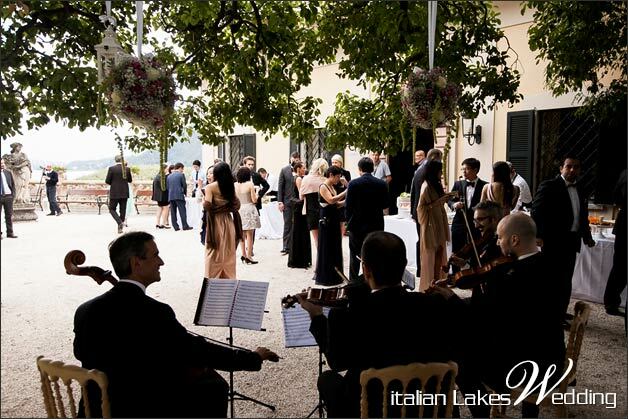 All was emphasised by an excellent string quartet playing. 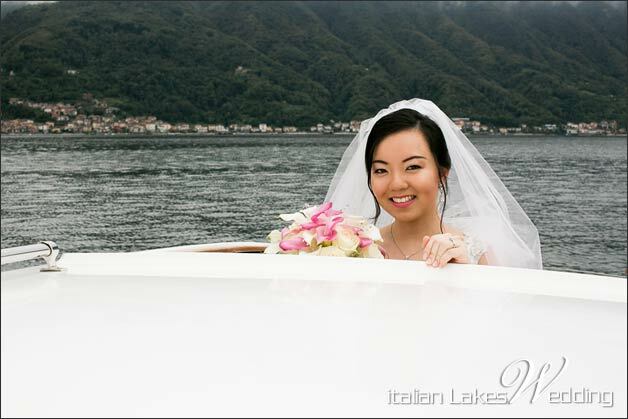 On beloved Lake Como, Arum and Seok became husband and wife surrounded by everyone’s smile, excitement and tears of joy! 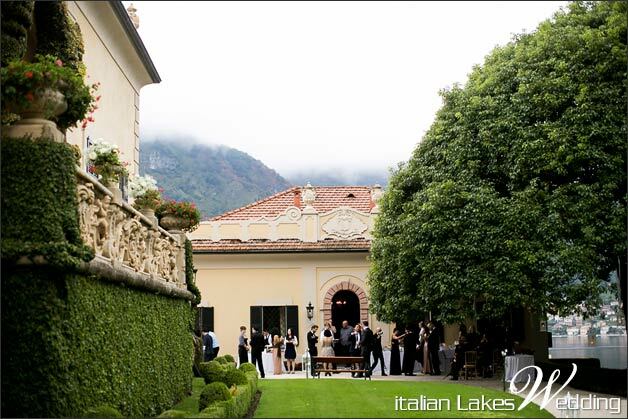 After the ceremony all the party enjoyed amazing garden of Villa del Balbianello and its stunning view of our lake… with tasty Italian food, cocktails and romantic live music in the background. 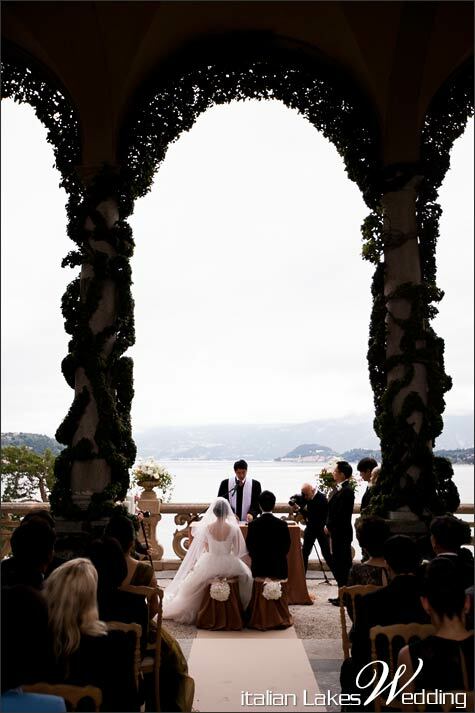 This is the moment where everything is perfect. 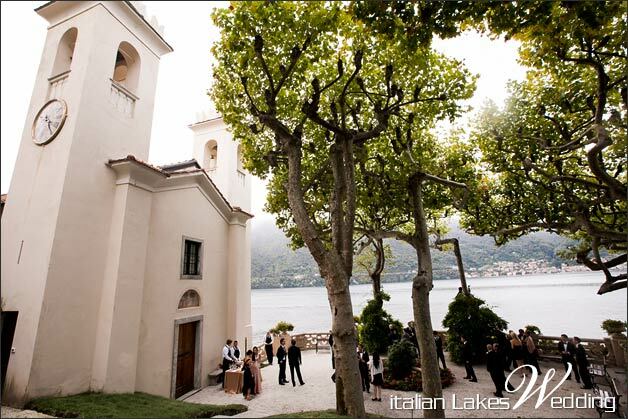 Falling in love with an Italian wedding on the lakes is very easy now! 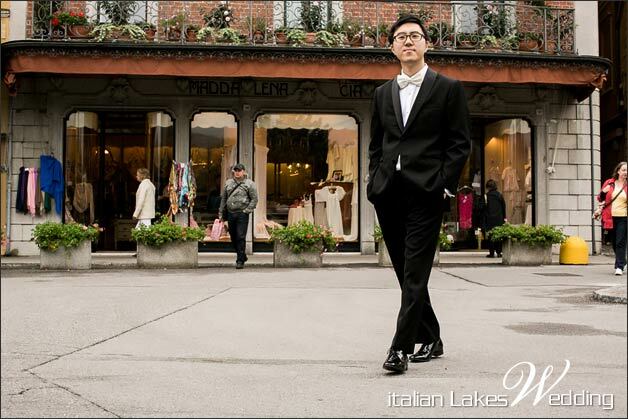 Arum and Seok took some time for a candid photo session with their trusty and talented photographers by Morlotti Studio. 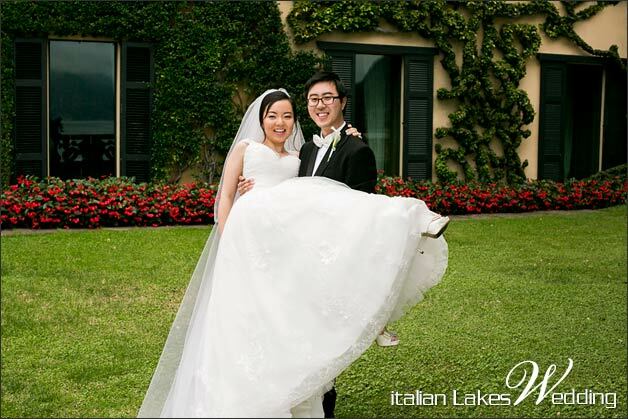 The same professionals who shot their engagement photo session. 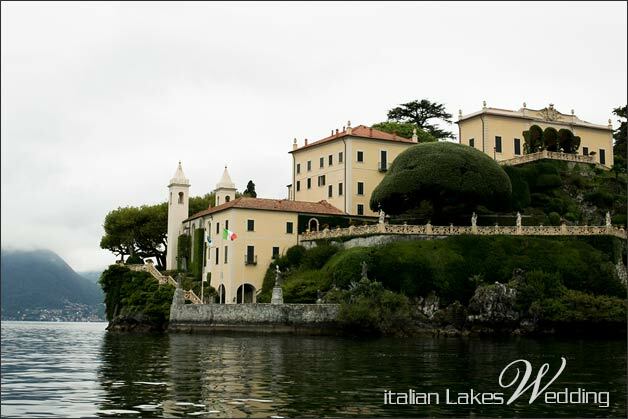 A great landscape, a couple in love and a stunning wedding venue made emotions printed in unforgettable pictures! 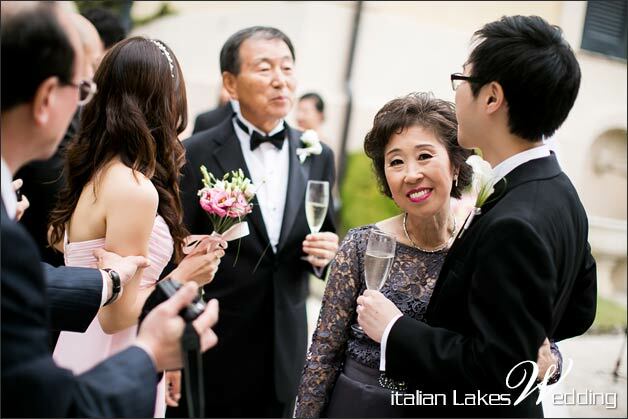 Arum and Seok got married in September. Weather could not be not always warm in this time of the year. 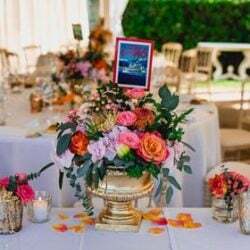 For this reason we usually suggested to set up a lovely marquee near the dinner reception. 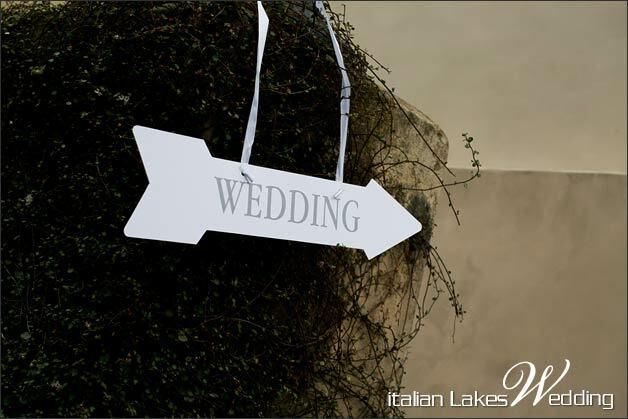 This way they would have enjoyed an outdoor reception anyway. 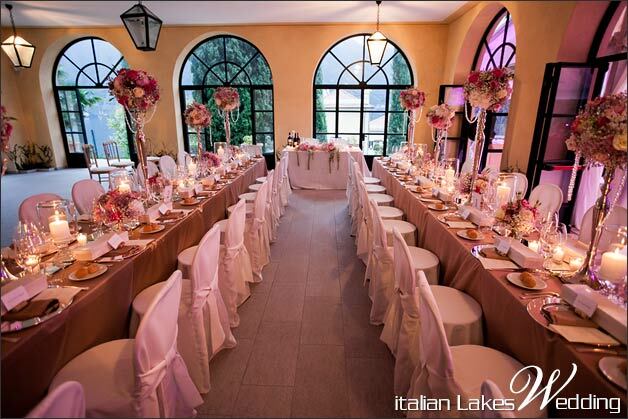 The reception venue was just fabulous! 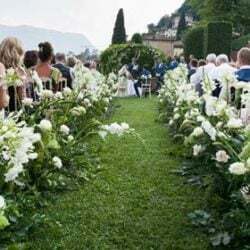 Everything was set up akin care to every single detail. 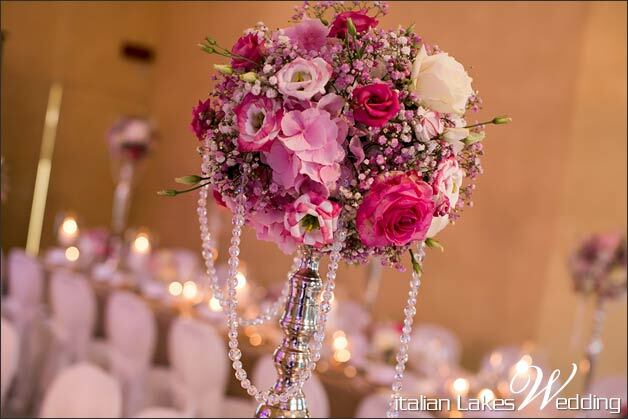 We organised long tables covered with ivory tablecloths, roses petals scattered on them, luxury silver candelabras with flower spheres on the top of them, centrepieces with white and pink roses, hydrangeas and baby breath, lots of candles to create a suffused light and some extravagant crystal strings to enhance the party atmosphere. 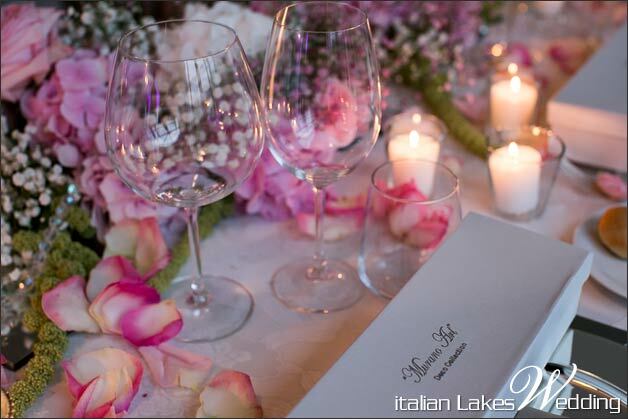 As special touch a lovely Murano glass gift was given to every single guest, placed on every dish! 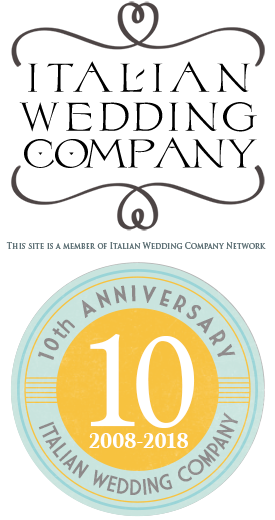 Murano glass is made on Venetian Island of Murano. Here craftsmen have created fancy glassware for centuries. 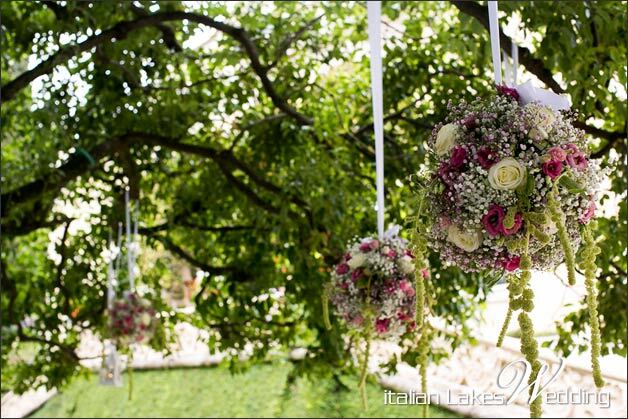 It could be a very special Italian favour for your guests! 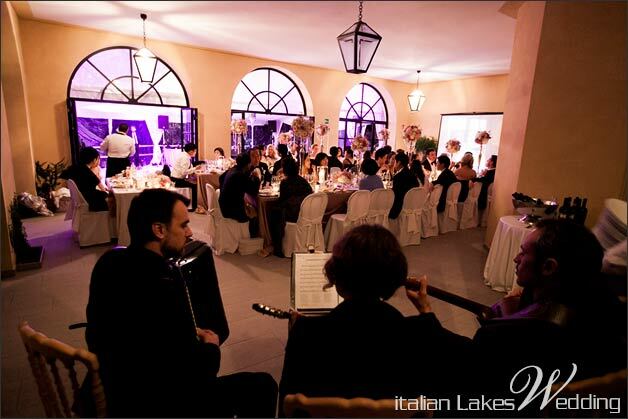 During the dinner a trio played the traditional Italian music while exquisite Italian food was served at tables. 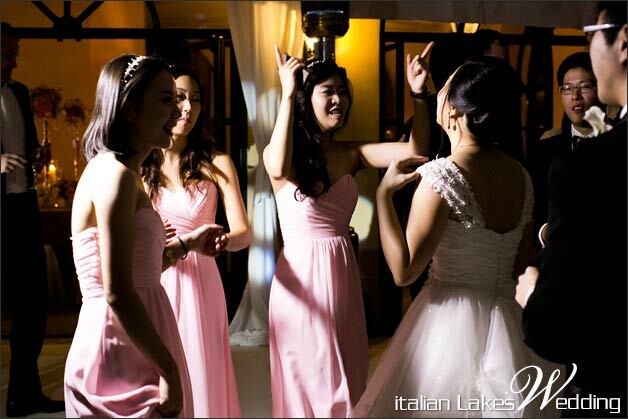 And then… it is time to party! 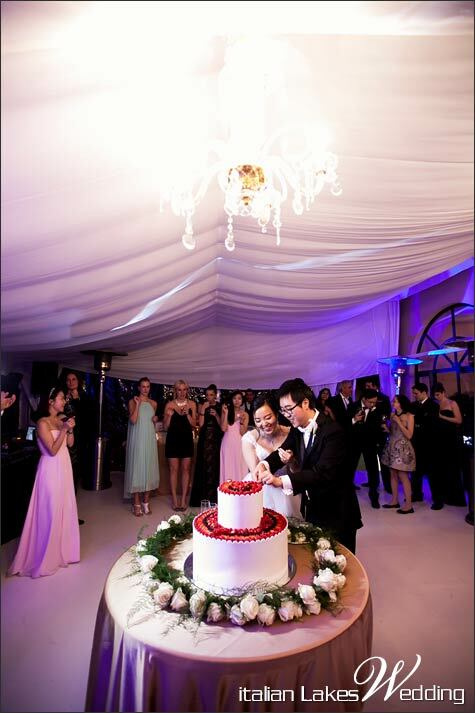 Under the elegant marquee Arum and Seok cut their two tiers wedding cake with berries and they had a one more toast to their happiness! Dances can really start now! 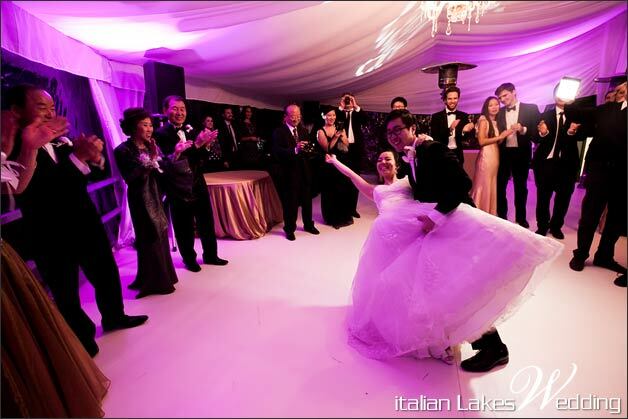 A great dj did a great session of music that made everybody happy. 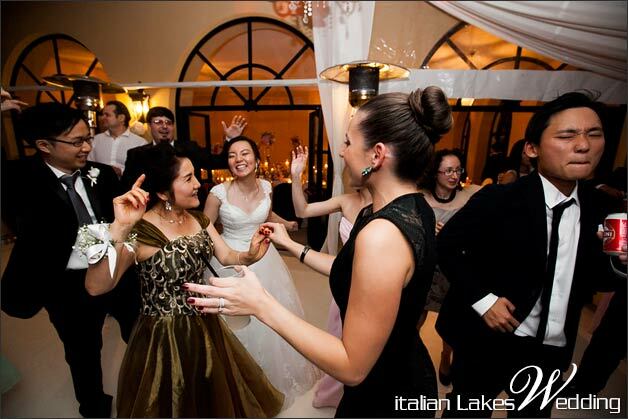 All the group danced till late at night! 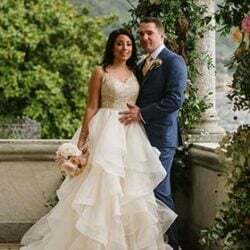 We were really pleased to meet this young and lovely couple and we were very happy to make their dream wedding on Lake Como come true! 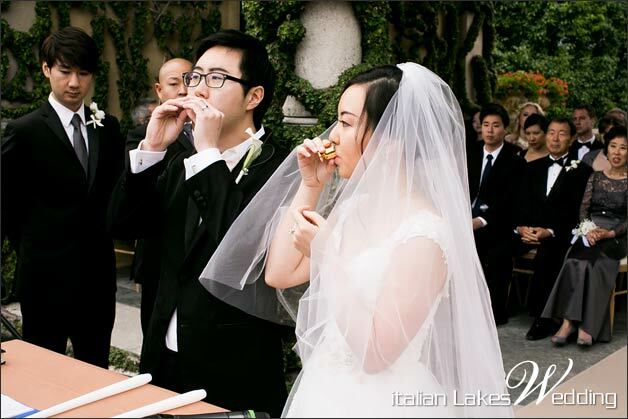 One more toast for you, guys!! ← We are back!! 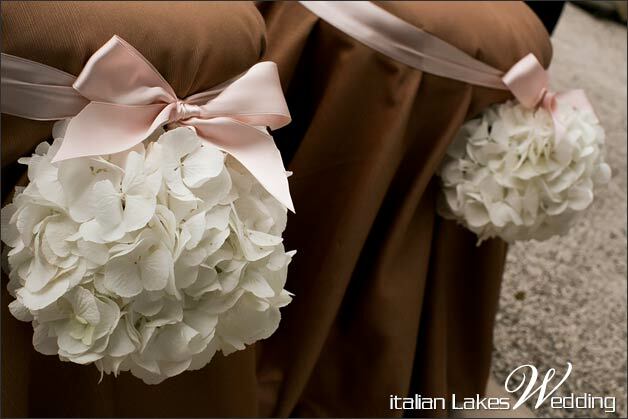 2014 Wedding season has just stared!